The building is considered a historic landmark in Miami’s downtown’s BRICKELL Avenue. Originally the building was fit with "Double Hung" Windows, however the current impact codes required Casement Windows to meet the Hurricane pressures required in the Bay front, Coastal Avenue. At GRS we manufactured the windows to appear as a double Hung from the outside. 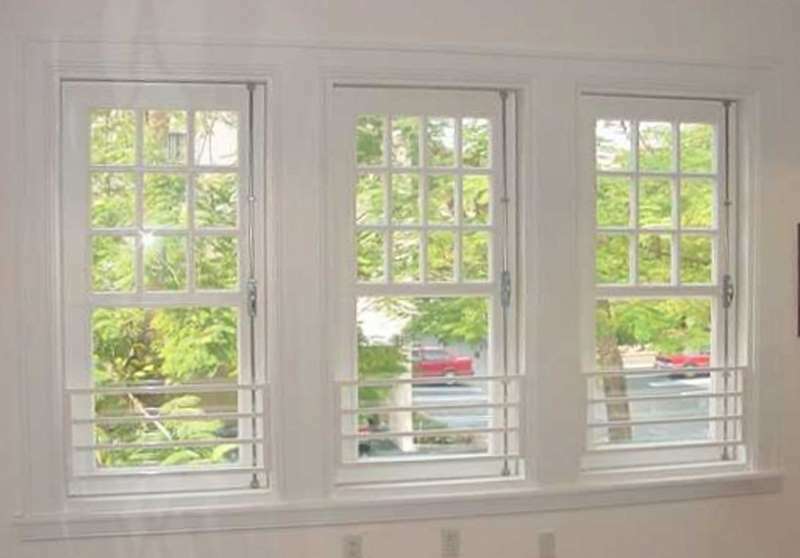 The Casement swing out windows are manufactured with 1/2" laminated impact glass, the casement, Mahogany Windows are operated with traditional Cremone Bolts that activates a 3 point hidden locking Mechanism. The same composition of double hung appearance in the exterior is installed in the Caribbean Islands and in Charleston South Carolina homes. The Traditional French Casement windows are a statement of classic elegance and perfect function ability. Tested for forced entry, water infiltration, Impact, and Hurricane cycling, the Impact Mahogany Casement windows are rated as the strongest Wood Window in the market today. The Strength and integrity in the composition and manufacturing of the Impact Wood Window protects the Coastal Homes and the Caribbean Islands. Fitted with laminated Insulated Glass, the Impact Wood Window will protect the homes in the mainland from cold weather, the wrath of winter or the heat of summer storms. The Impact Mahogany Window is a strong deterrent from any noise or attempted forced entry.